Today servers are being moved to a single data center which presents a unique challenge for IT professionals, who have to handle numerous servers and business processes with a decreasing budget. The good news is that there are several practical ways to address these problems and keep servers as cost-effective as possible. 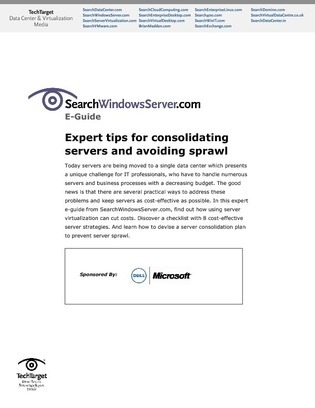 In this e-guide from SearchWindowsServer.com, find out how using server virtualization can cut costs. Discover a checklist with 8 cost-effective server strategies and learn how to devise a server consolidation plan to prevent server sprawl.